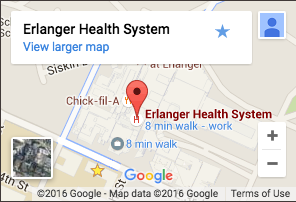 Erlanger Medical Group offers comprehensive gastroenterological services for both adults and children. Erlanger brings patients in the tri-state region a new level of expertise and care when it comes to the diagnosis and treatment of digestive tract diseases. Our team of board-certified gastroenterologists works in partnership with phsycian practices to provide the highest quality of care, as well as the highest level of technical and endoscopic expertise. Children's gastroenterological services are provided by pediatric sub-specialists with Children's Hospital at Erlanger. Patients are typically referred to sub-specialists by their pediatrician.